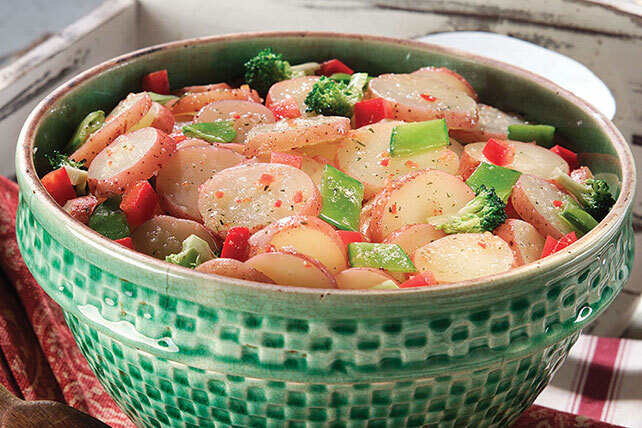 Serve a perfect side dish in a snap with this Hot Potato Salad recipe! Our tasty Hot Potato Salad only requires three ingredients and 15 minutes to make. Store potatoes in a cool, dark, well-ventilated place for up to 2 weeks.